The best way to make friends when traveling is through a drink. Craft Beer expert Joe Wiebe offered to take me out for the afternoon to try Victoria craft beer. While we’re not well matched height-wise (he’s at least 6’5) we’re all good when we sit down….unless you sit at one of those weird tables where the seats are low and the table is tall. Then I feel like a toddler…anyway that’s getting off topic. It’s four days into my trip to Victoria and I have already decided I want to live here. Toronto is an amazing city. And I always thought I’d live in Toronto until I visited Victoria. Not only is the weather amazing but so is the food scene and the people are so nice. I’m not always comfortable just meeting up with strangers. I imagine it’s like a Tinder date, although without the possibility of hooking up at the end. But I knew I liked Joe immediately when I mentioned we could share pints. He agreed, he’s not a germaphobe and we wouldn’t make it far if we were each drinking 4-6 pints at each location. Victoria has an outdated reputation for being the home to children and retirees. Yet I’ve met so many people like Joe, who isn’t originally from Victoria, but loved the area so much he stayed. Originally a travel writer, he’s been into craft beer so long that he remembers when it was called the unsexy name of microbrew. After people telling him for years to write about his passion he took the leap. But I’m not sure Joe has time for another book, he’s involved in so many events to make craft beer accessible to the public, including Victoria Beer Week each March. Although I prefer wine over beer, I still like trying craft beer when I travel. For some reason wine is still intimidating for so many. I think it’s because you’re told you should taste something someone has told you to taste. You have to swirl it and smell it. But beer is much more approachable. You can order a flight, try several and instead of commenting on the flavours or acidity you simply decide whether you like it or not. Although locals tell you to avoid Government Street this is an exception. Garricks Head Pub is in a historic building from 1867. The main room feels like an airy casual pub and the back is reminiscent of its history, complete with a stone fireplace. Today it has the largest selection of craft and import beer with over 50 beers on tap. Not all are local, you’ll find some from the West Coast and if you like a good ole fashioned mass produced beer they have that too. Food is as approachable with burgers and noodle dishes. I highly recommend the Aussie burger complete with beets and a fried egg, it brought back such good memories of New Zealand. But portions are HUGE so maybe you want to split it. And be sure to get the fries because they are beer battered! If you are more of a spirits kind of person check out their sister pub,The Churchill, next door. It’s also a relaxed pub with craft beer, wine and spirits. I love the bar seating which features floor to ceiling options. 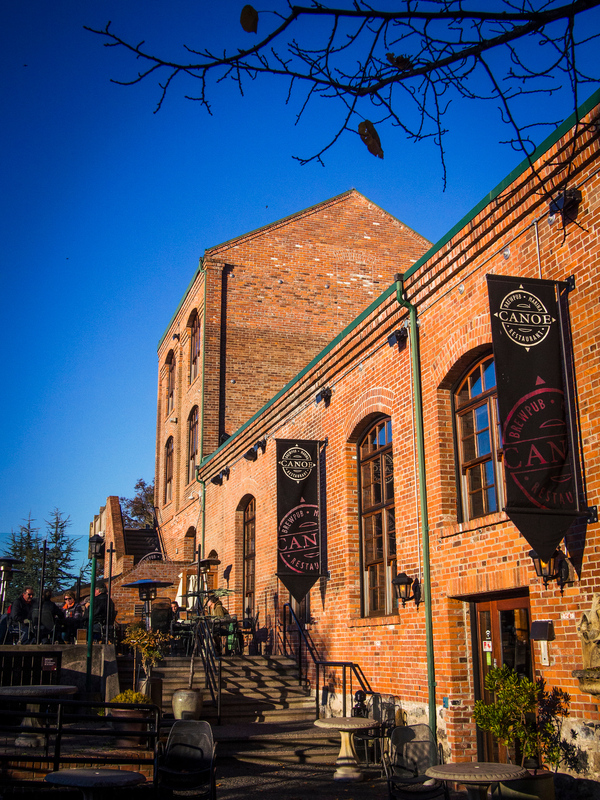 This just may be home to the best patio for Victoria craft beer. Canoe Modern brewpub is housed in a restored historic building, and reminds me of the Distillery District in Toronto, but better because it looks out onto the waterfront. The interior is stunning with wood beams and exposed brick. If you have a group of five you can book a tour and guided beer tasting of their small batch beer. And if you’re just looking to hang out they have live music every weekend. But don’t skip out on the food. The kitchen suggested the chicken curry, which I thought was an odd pairing for beer but it turned out to be a delicious Thai curry. I loved it. Sadly Joe, who has a seafood allergy, realized after eating a few bites that he could not eat it because it had fish sauce. Spoiler alert: Joe didn’t die. But it is a good to always tell your server if you have allergies! 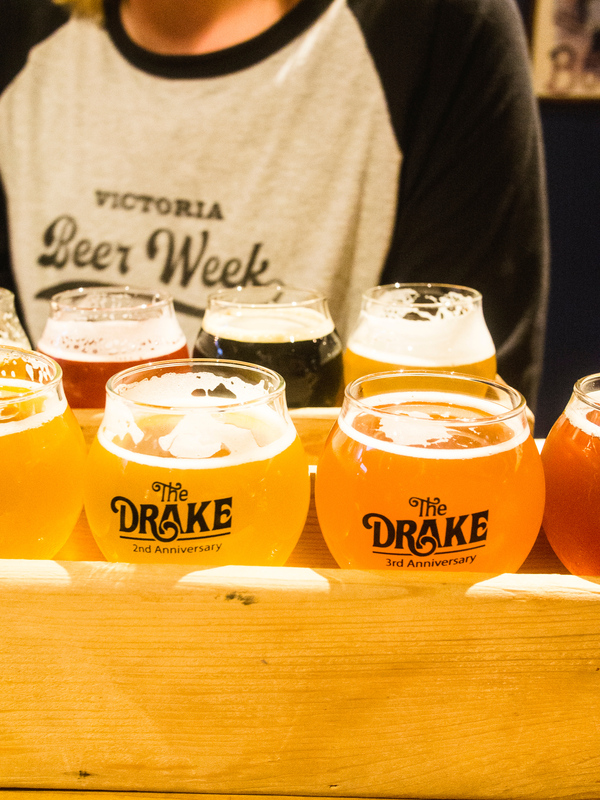 The Drake surprised me in so many ways that I think craft beer lovers would appreciate. First of all, the beer list is changed daily and so the draught lines are cleaned daily. For non-beer aficionados, lines should be cleaned weekly but a lot of places don’t do it. It costs money and if you have a long line from the keg to tap you can lose a lot of beer. Your favourite restaurant probably does it monthly. Dive bars may go longer. If you’ve woken up the day after drinking draught and not felt so great it was probably dirty draught lines. When in doubt go for the bottle. 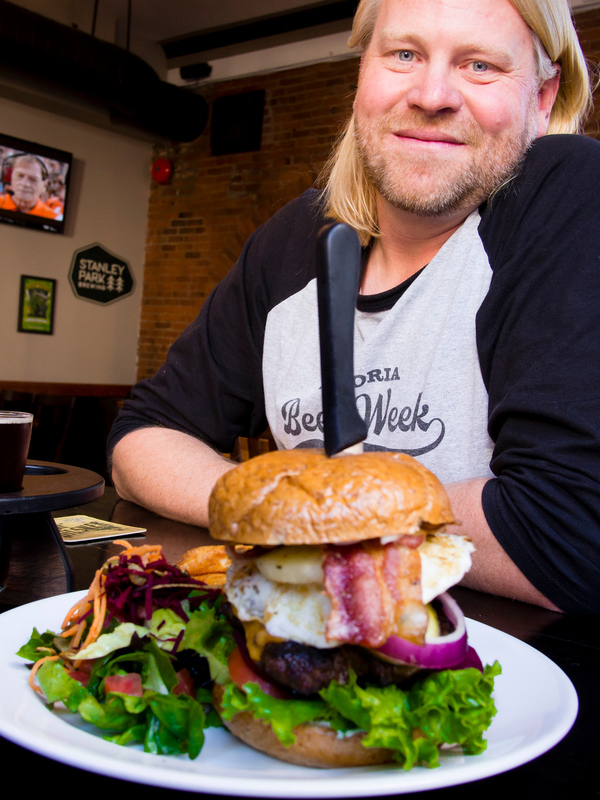 The Drake focuses on beer from the Pacific North-West and staff really know their beer. So if you aren’t sure what to get you can tell them what other beer you like and they’ll offer a sample. I love sour beer and they had several. Service is similar to Europe and New Zealand/Australia where you order at the bar. If you also get food they’ll bring it out to you. Staff work both in the kitchen and as servers, which is fascinating to me. But it works. Like much of Victoria the food is local, seasonal with lots of veggie and vegan options. NB: I did not ask which beer was vegan friendly at the Drake, but if that matters to you I’m sure they would know. Phillips is one of those epic stories that everyone loves to hear. In 2001 Matt Phillips worked in the industry but at age 27 he wanted his own business. No bank would give him a loan so he funded the venture completely from a number of credit cards. He brewed in a tiny apartment without windows, where he also lived. Now he has one of the hottest breweries in the city (in an actual commercial brewery) with its own malting facility and is opening his own tasting room. You’ll find Phillips all over the city. The brewery is very active and hosts a summer concert series. 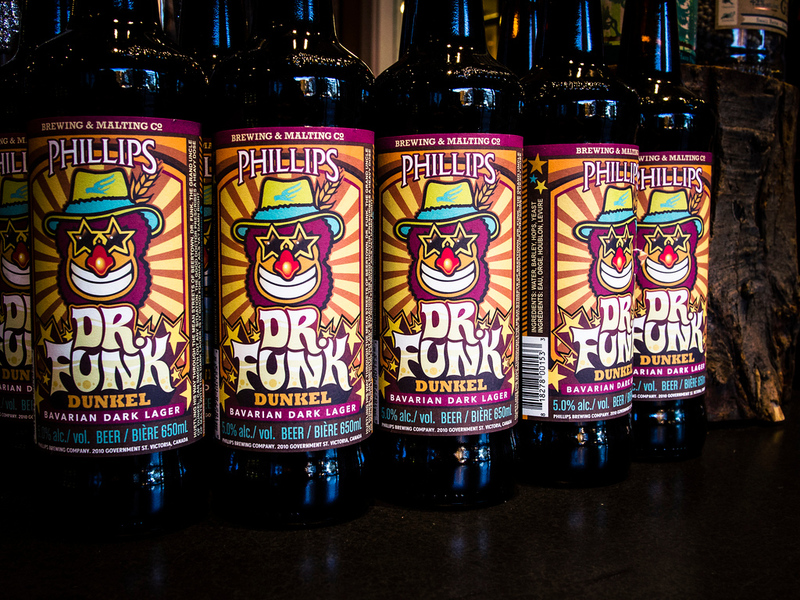 Shawn O’Keefe’s artwork on the bottles is so popular you can buy posters of the local artist. Matt hasn’t slowed down, it’s also now a distillery and soda shop. Yet it still has a small business feel with people stopping in to pick up growlers and bottles for the evening. 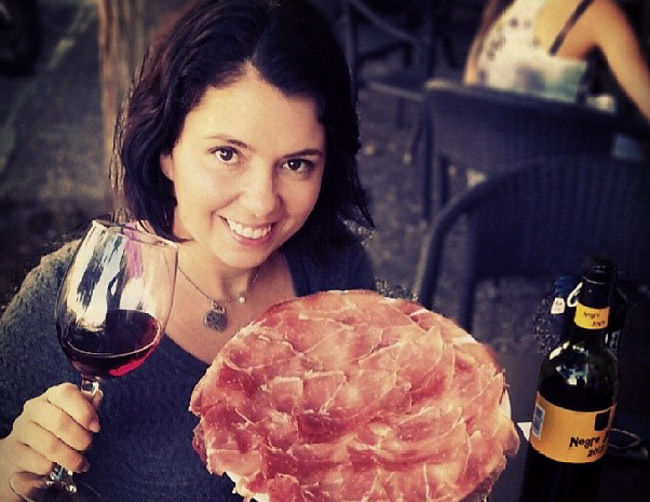 To hear that a chef in Victoria is sourcing 100% isn’t unusual until you discover her restaurant has over 300 seats. Over the years I’ve heard so many large restaurants profess they’ve love to source local but it’s not feasible. Chef Ali Ryan proves them wrong. Sure, it’s not easy. In addition to making local beer, cider, chocolates, vinegars and probably much more. 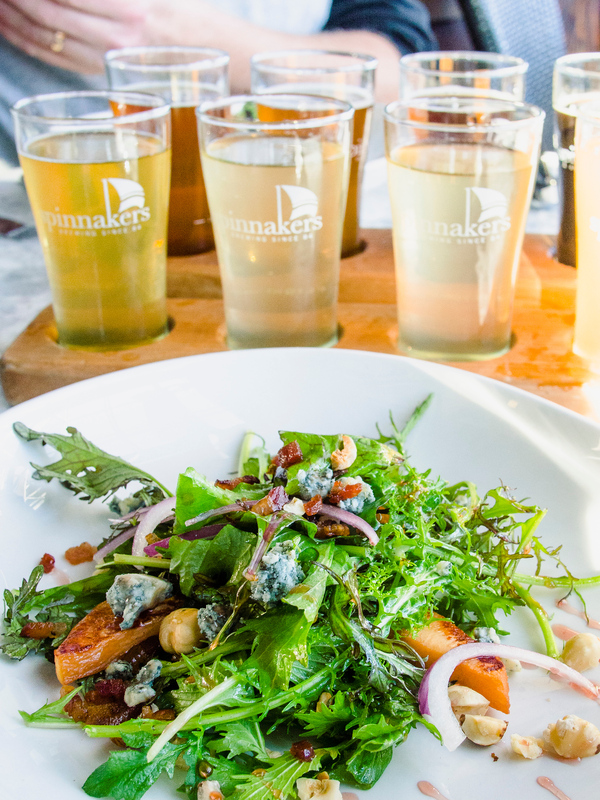 Not only is Spinnakers the largest brewpub with 300 seats, it’s also the oldest brewpub and was pivotal in changing brewing regulations so that craft breweries could compete. There is a location at airport that is good for a pre-flight pint, but it doesn’t capture the spirit of the waterfront location. If you’re staying in town it’s worth the walk along the waterfront to get here. If you have time get the chocolate truffle and paired beer flight. I didn’t have time but I’d love to do it. 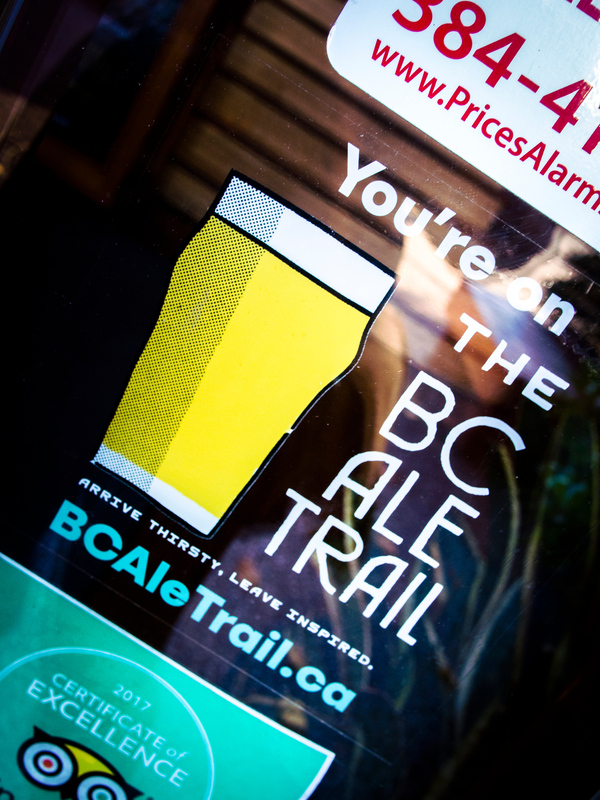 Disclosure: Tourism Victoria sponsored this post about Victoria craft beer. 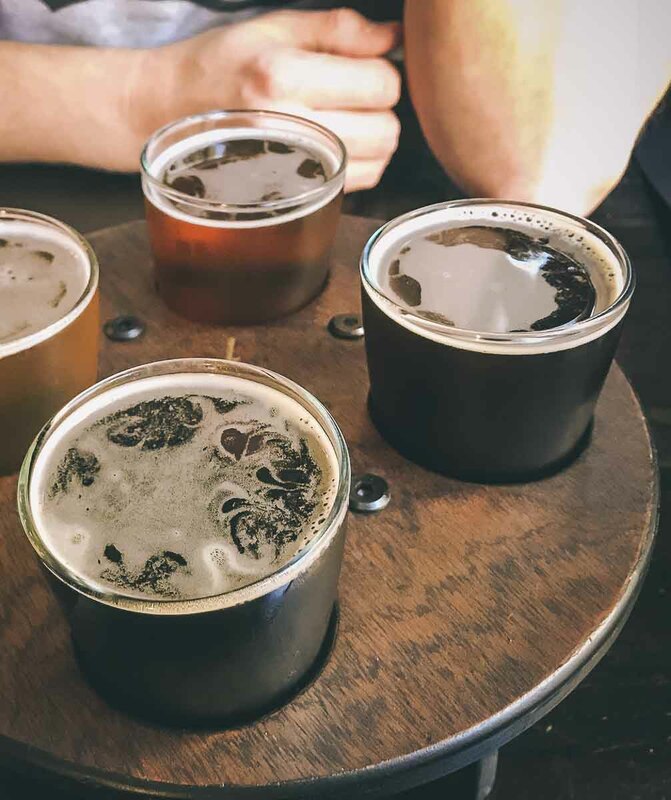 I requested to write a piece about beer in Victoria, knowing that it was such a strong culture and wanted someone to take me out for the afternoon to show me the best spots. Joe Wiebe was the perfect fit and I feel so fortunate to meet people doing amazing things they are passionate about. Next time I visit Victoria, now I know where to go! Wish I was living closer to be able to visit that place! I love artisan/ craft beers! Cheers! Wow! This sounds like so much fun — I’ve never been to Canada — always wanted to go and Victoria is at the top of the list! You’ve got me researching flights! Canada is on our bucket list, and looking at your post, I know that my husband would love to visit Victoria and try some of the craft beer there. I wish I would have seen this in the spring. We were in Victoria in May but stayed near the harbour because we didn’t know where to go. I am definitely going to go back and check out some of these places. Smiths Pub should be on any Craft Beer list in Victoria. Their always rotating taps and can program are among the best. Thanks so much for the recommendation, any others?